The implementation date of the International Classification of Diseases, Clinical Modification, has come and gone, and we have survived what is arguably the most significant change for providers in the history of reporting healthcare services. As the dust settles, an assessment is recommended. 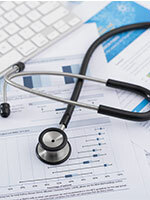 Medicare is poised to incorporate new quality metrics as a guide for payments. At ASH 2015, the CSO of the National Quality Forum discussed the need for measures and reporting systems that reflect patient care and care coordination. After the Centers for Medicare & Medicaid Services (CMS) significantly increased physician fees for office-based minor cystoscopic procedures in 2005, there was a spike in this type of procedure. Discussions of site-neutrality reimbursement for oncology services have centered on flawed comparisons of Medicare reimbursement methodologies that would deprive patients of the best available care, according to the American Society of Clinical Oncology (ASCO) policy statement (ASCO. J Clin Oncol. 2015 Oct 26. Epub ahead of print). The Centers for Medicare & Medicaid Services (CMS)’s planned reimbursement of advance care planning services in 2016 is being greeted with enthusiasm by the oncology community. Advance care planning comprises the discussion of options for palliative care, end-of-life care, and advance directives. According to a recent study, 63.6% of oncologists surveyed favor the establishment of an independent panel of health experts to decide which treatments Medicare will pay for based on a cost-benefit analysis. Less than 50% of patients and members of the general public think this is a good idea. The United Kingdom’s National Institute for Health and Care Excellence (NICE) is one model for such a panel. The recent decision by the Centers for Medicare and Medicaid Services (CMS) to broaden coverage of fluorine-18 fluorodeoxyglucose positron emission tomography (FDG-PET) imaging in patients who have been treated for tumors has been welcomed by many in the oncology community, although the decision is not without its critics.